This Indian style vegetable soup recipe needs few ingredients and you can prepare it in a jiffy. 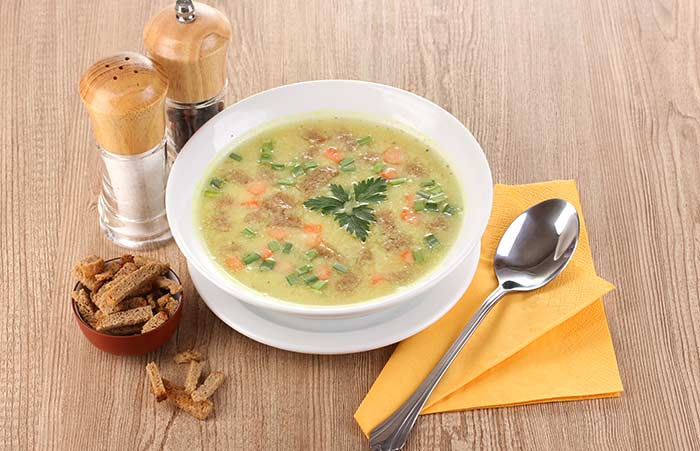 To make this awesome tasty soup, you will require some easy to find ingredients. Now sauté the onion and carrots. It will take a few minutes. Add the coriander and pour in vegetable stock. Cook till the carrots become soft. Serve it hot with crusty bread.